The initials "BSC" have recently acquired additional industrial meaning in connection with steel and shoes, but the strongest claim on them must surely go to the original user, the British Sugar Corporation Ltd. This was formed as long ago as 1936, following the recommendation in a Government Committee report that the eighteen factories producing sugar from beet, then under independent ownership among five groups, should be merged and come under the control of a unified and centralised administration, mainly to give financial stability to this recently established industry in Britain. These eighteen factories were all sited to facilitate easy rail communication (and in some cases, by waterway as well), while beet products from the process, as distinct from sugar itself, were included in the agricultural commodities for which reduced railway freight rates were offered as a condition of reductions in the rating assessments on railway installations in rural areas (Local Government Act, 1929). 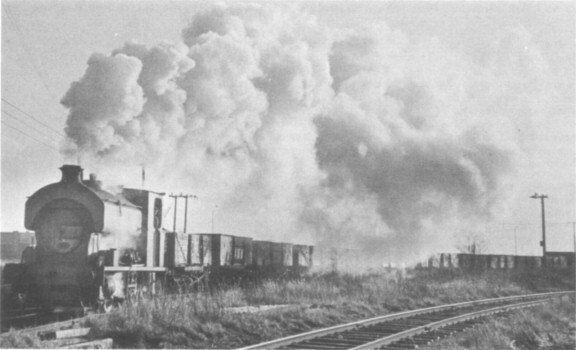 Naturally enough, the sugar factories acquired their own steam locomotives to work over the network of lines laid within factory limits, together with those affording exchange facilities with the main lines. The list of locomotives which could be seen in the years before the Second World War at these factories is quite long, certainly shows variety, and was of course 100 per cent steam. One envies the few industrial railway followers of that time. In the 1970's, however, all this has changed. Diesel shunting locomotives, mainly from Ruston & Hornsby Ltd, began to appear as replacements for the steam locomotives soon after the War. The first, works number 243080, was delivered in 1947, with the second (281266) coming in 1950, since when all new BSC locomotives have been diesel. The situation today is that the few steam locomotives remaining are retained as standbys to the diesels to cover periods of breakdown or overhaul. 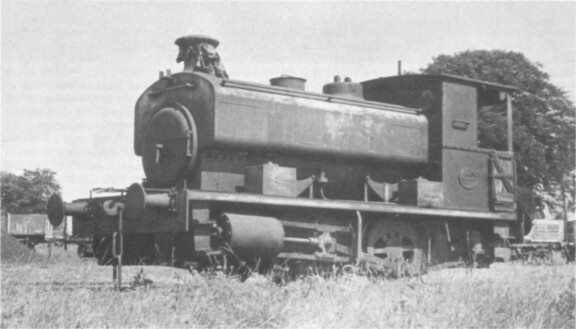 The second eventuality is responsible for the annual working appearance of Peckett 2000 of 1942 at Ipswich Sugar Factory (see photograph in RECORD 7, page 151), after the beet campaign proper has been concluded. Requests for visits to see it at work have rather overwhelmed the management here, however, and individual visits are no longer permitted. In compensation, though, a Saturday morning 'demonstration' is arranged for enthusiasts in late February or March. The 1971/2 campaign was the final one in which Avonside 1945 of 1926 was to be seen in use at the King's Lynn factory, traffic here being so unusually great that both steam and diesel locomotives were in simultaneous use at certain times. Sadly, the closure of the Cupar factory in Fife, Scotland, has made a Fowler diesel locomotive available, and this has now been transferred to King's Lynn to join a similar locomotive already there. Happily, Avonside 1945 is to join the ranks of preserved locomotives, having already been moved to Peterborough for restoration, and it is later expected to join the stud owned by the Peterborough Railway Society, housed at the Peterborough Sugar Factory sidings. Oddly enough, this move will be a homecoming for Avonside 1945, since it was built to the order of the Central Sugar Co Ltd, original owners of the Peterborough Sugar Factory before the creation of BSC, and it worked. here from delivery new in 1926 until transferred to King's Lynn around 1961. At Peterborough, it will join up again with Hudswell Clarke 1800 of 1947, one of only two steam locomotives built new for BSC after the Second World War before the total commitment to diesel. Hudswell Clarke 1800 is retained as standby to the diesel here, but has been in use quite recently, notably on the occasion of the Society visit in July 1970. Since the Peterborough Railway Society found a home in the factory sidings here, it has also seen additional use on their "Open Days", and was ceremonially named THOMAS by the Rev W. Awdry on the June 1971 "Open Day". 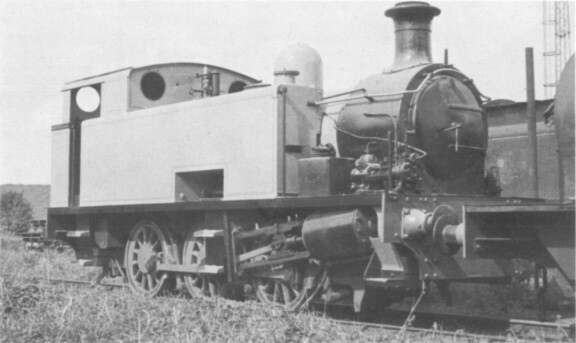 Two other Hudswell Clarke 0−6−0 saddle tanks are also members of the existing BSC steam fleet, acting as diesel standbys: an inside cylinder design, 1682 of 1937 at the Kelham factory, Newark, and an outside cylinder version, 1604 of 1928 at the Bardney factory in Lincolnshire. 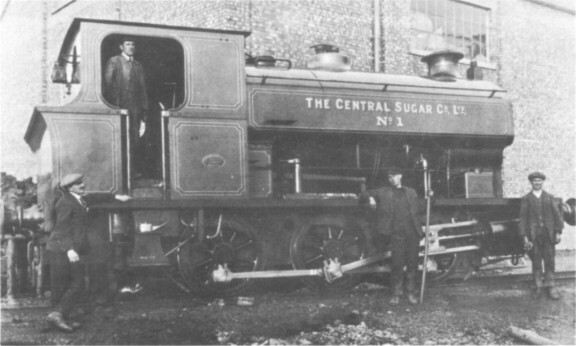 The most popular locomotive for sugar factory use was a Barclay 0−4−0 saddle tank design, of which no fewer than ten were ordered new; none of these, however, is known to have seen recent use. Two remain as diesel standbys; 1862 of 1925 (at Selby), and 1931 of 1927 (at Spalding). Barclay built the other steam locomotive ordered by BSC in post-war years, works number 2248 of 1948, and this is now at Wissington with two more elderly companions, NEWCASTLE (Manning Wardle 1532 of 1901) and WISSINGTON (Hudswell Clarke 1700 of 1938). Both of these are 0−6−0 saddle tanks, with the latter as the preferred diesel standby. 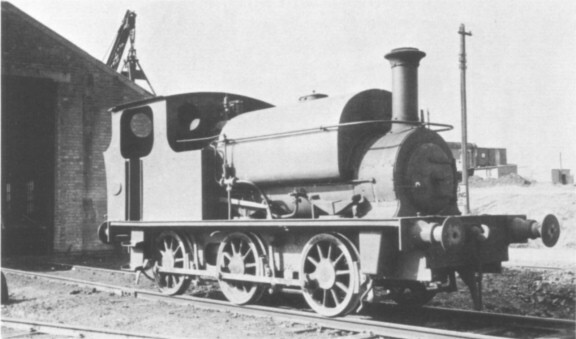 Appropriately enough, another Barclay 0−4−0 saddle tank (1863 of 1926) survived at the Cupar factory until closure, and was probably in the best condition of those remaining, but its fate subsequent to the factory closure is not known. Barclay 1886 of 1926 spent its whole working life at the Felsted factory, Essex, until the closure of the BR line between Braintree and Easton Lodge meant the end of rail traffic there in 1969, making Felsted the first beet factory to lose its rail connection. In recent years it was standby to the Felsted Ruston & Hornsby diesel; this, following cessation of rail traffic, was sent to the Foley Park factory at Kidderminster. As a result of this transfer Barclay 2248 was moved from Kidderminster to Wissington. 'The Borsig Lokomotiv-Werke G.m.b.H. announces the transfer of its workshops and offices from Berlin-Tegel to Hennigsdorf (Osthavelland), near Berlin-Tegel, and as from April 12 all Borsig locomotives will be manufactured there.' ("The Railway Gazette," 19th April 1935. — KPP). 'A Scotsman stood for six hours at a level crossing pulling faces at engine drivers and went home with a hundred-weight of coal.' ("The Railway Gazette," 1st February 1935. — KPP). ("The Railway Gazette," 22nd February 1935. — KPP).